As in 2015 Community Quilts is pleased to be donating quilts to a support group for Mothers of Children with Childhood Cancers for their Retreat this month. 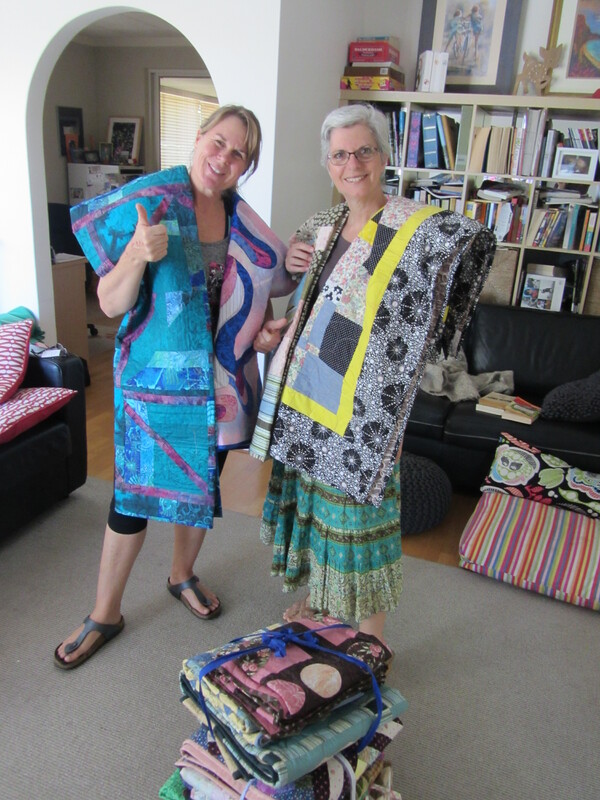 Here is Cathy handing over 14 lovely quilts to Nicola who runs the Support Group and is organising the retreat. The ladies will have them waiting at the end of their beds when they arrive and last year they were well used for yoga sessions, keeping warm at night and cuddling into while chatting and sharing their “loads” at this valuable time off. This entry was posted in Community Quilts, Contemporary Quilt Group. Bookmark the permalink.